The large imposing temple at Abu Simbel was built by Ramesses II and dedicated to Ra Harakhte, Amun Ra, Ptah and Ramesses II. The orientation of the temple was carefully aligned so that at dawn on the solstices the sun shines through to the chapel containing the four seated statues of Ra Harakhte, Amun Ra, Ptah and Ramesses II. 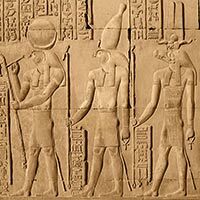 The sun shines on only three of the four statues, Ptah the god of darkness is left unlit. The second and smaller temple on site is the temple of Hathor which was dedicated to Nefertari, favourite queen of Ramesses II. 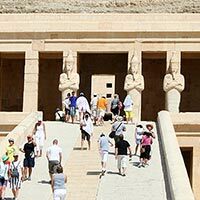 This temple was built during the Ptolemaic period and is dedicated to two gods. As such it is made up of two almost symmetrical halves, each with its own inner sanctuary. The right half is dedicated to Sobek the crocodile god, and the left half to Haroeris, a form of the falcon headed god Horus. The Romans made later additions to the complex. The Karnak Temple was dedicated to the Thebes Triad of the God Amun, his wife the Goddess Mut and their son the God Khonsu. The temple was built and added to over a period of approximately 2,000 years by a succession of Pharaohs, each leaving their own individual marks and additions. 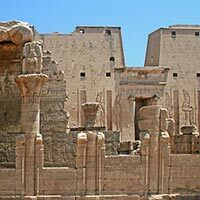 The Edfu Temple was built in the Ptolemaic period and dedicated to the god Horus. In front of the temple is a birth house or Mammisi, which is a small temple itself. On top of the columns of the birth house can be seen images of Bes, the god of birth and fertility. The Luxor Temple was built in the ancient Egyptian city of Thebes, now in the area known as Luxor. 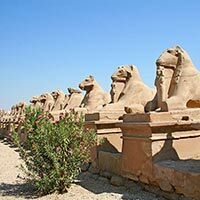 The main construction was carried out during the reigns of Amenhotep III and Ramesses II, although it was founded earlier. 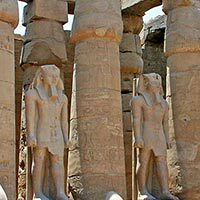 Once known as Thebes, the capital of Egypt in the ancient times, Luxor is home to many of the great surviving wonders of Ancient Egypt, they include: Luxor Temple and Karnak Temple, The Valleys of the Kings and Queens and several magnificent Funerary Temples. 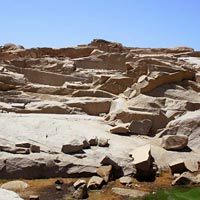 Aswan is home to the granite quarries used for many of the monuments of the ancient Egyptian world. The famous Unfinished Obelisk can be found in one of the red granite quarries. Three thousand years ago the two Colossi of Memnon stood either side of the entrance to the funerary temple of Pharaoh Amenhotep lll, unfortunately now they are all that remains at the site of Amenhotep III's funerary temple. 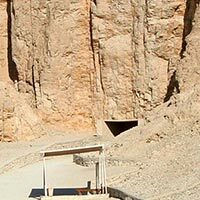 The Valley of the Kings is where the Egyptian pharaohs of the 18th to the 20th Dynasty were interred. 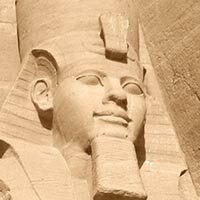 Thutmose I was the first pharaoh who decided he wanted to be buried in a secret location, thus beginning the tradition of being buried in the Valley of the Kings. The Philae temple was dedicated to the god Isis. It is a well preserved temple from the Ptolemaic period. 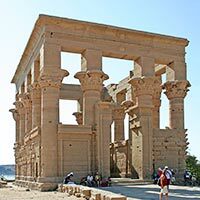 The temple was moved to the island of Agilkia between 1972 and 1980 where it currently sits, as it was put jeopardy on it's original location on Philae island when the high dam was built. Hatshepsut’s funerary temple is one of the finest funerary temples in Luxor (formally the site of the ancient City of Thebes) . 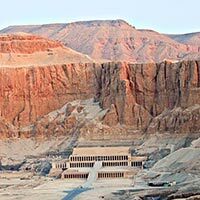 The funerary temple is located beneath the cliffs of Deir el Bahari on the west bank of the River Nile. 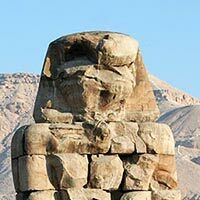 Hatshepsut, the daughter of Thutmose I, and the wife of Thutmose II took over the throne after becoming regent following the death of Thutmose II. 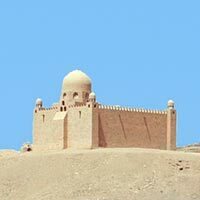 This Picture Gallery features pictures of the Necropolis of the Princes of Elephantine, the Valley of the Queens, the Mausoleum of the Aga Khan and his house by the River Nile. 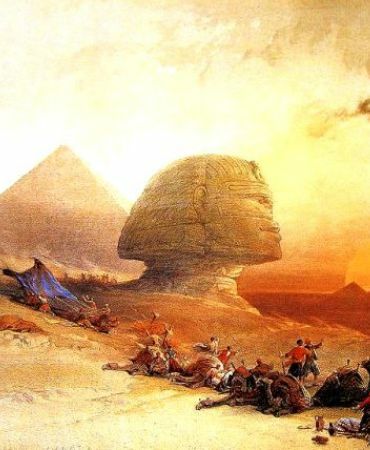 This search box will allow you to search all of Siteseen Ltd's Ancient Egypt websites. The photographs in this section are all copyright © Paul Drake 2014, Paul has allowed us to publish his pictures for your use in all educational work provided they are not used online or commercially, if you wish to only use them in a written educational project no further permission is required from Siteseen Ltd. or the copyright holder Paul Drake.